Only at NM: Only Here. Only Ours. Exclusively for You. Set of three Ashley Pittman bracelets. 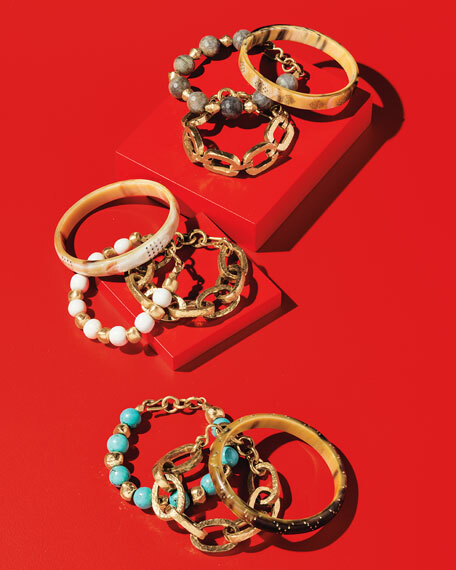 Set includes one beaded bracelet with bronze spacers and hook clasp; one pierced horn bangle; and one hammered anchor-chain bracelet with hook clasp and extender. 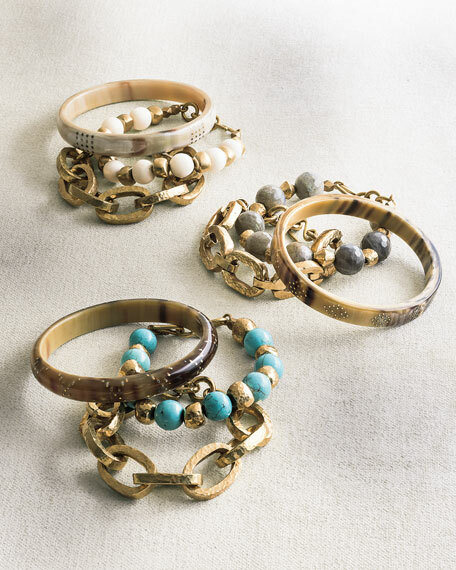 Choose labradorite, bone, or turquoise stone. Labradorite and turquoise sets come with dark horn bangle. Bone set comes with light horn bangle. For in-store inquiries, use sku #1730861.